Kleefeld on Comics: Still In The Cellophane? About a week ago, I was putting some graphic novels away on the bookshelf and I noticed that the spine of my copy of Flash Archives Volume 3 was a bit shinier than the others. A quick inspection showed that it was, in fact, still wrapped in cellophane. Never been opened. I don't think I bought it when it first came out in 2002, but I'm certain it's been sitting on my shelf for at least several years. Maybe five or six. Shameful, really. I can excuse myself for not having read all of the thousands of comics my Dad gave to me a year or so ago -- it almost literally doubled my collection overnight and there simply hasn't been time to read them all. But the books that I bought before that that remain unread. Well, there's no real excuse for that. 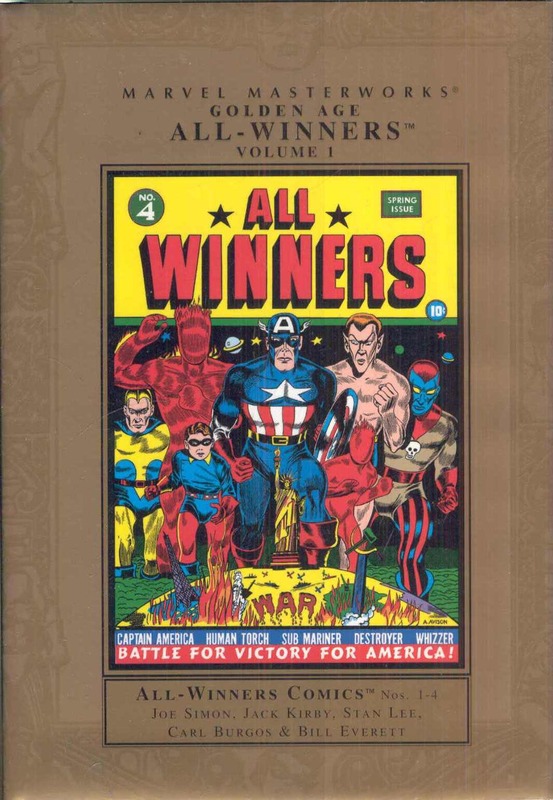 So imagine my annoyed frustration when, earlier this evening, I came across my copy of Golden Age All-Winners Masterworks Volume 1. Still wrapped in cellophane!